Please send your name ,your admin number and which concerts you would like to go to xinger han_xinger@yahoo.com.sg by this wendesday (the latest) ...thanks each ticket cost 14 dollar. If got any discount on the ticket will let u know asap. You are reminded to submit your CCA point by the end of this week. If you have problem submitting, or your cca point that you have submit, has been rejected, please contact and let sherryl know by this week. We will not entertain any thing about the CCA Points after this week. This coming friday is a bazaar day. This is a day where we can set up our booth to sell items that are being approved. 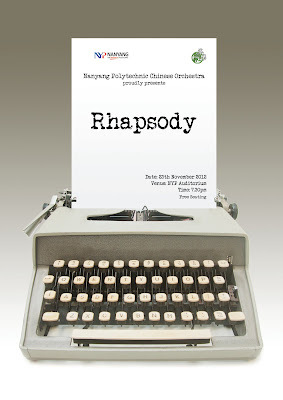 Please bring along your friends along to support us. Not just Support us, and also to help us by buying the items we are selling. The profits are us, with this profits, we are able to have more exciting activities, better games, outing and also better FOOD for us for our upcoming the BBQ. We really hope everyone tag your friends along down to the sport hall to our stalls to support us.. We need your support. these people listed below,plz take note that you have to come this wednesday( 31th may)5pm - 7pm for GUN HER TAO practice. IS A MUST TO COME AS this coming friday, we will be performing for JAM AND HOP at 6pm. Important notice! please read carefullly! REASON: these sectional instructors are busy for this coming week. plz make ur application for NDP concert tickets at www.ndp.org.sg from 25 may to 4 june!!! lets celebrate our nation birthday~! In order to bond us together and let our new members to feel that they are part of our big family, we encourage YOU to join us for dinner before every practices at 5.45pm (location for dinner mostly at food junction). For every combine practice on wednesday, please wear our GREEN T-shirt if you can so that we can easily identify our own co members over there. The reason we are having this is because we must MAKE FULL USE OF OUR SCHOOL FACILITY!~(every sem student bill for Sports fees:$7.90) Plus to prevent us from falling sick~! Results are posted as follows. Please attend the sectional practice as scheduled. Attendance will be mark for all lessons. 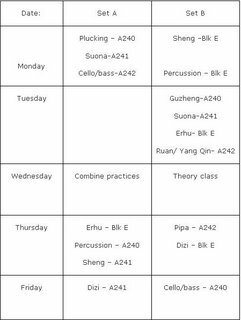 If your name does not appear below please proceed to Chinese Orchestra room to look for HeQiang, Jacqueline or Weilin. For those that would like to appeal to another sectional group, please write your name on the paper pasted outside the CO Room and be present on Tuesday 6.30pm. Work hard and put in your best effort to learn and to participate. All members please note that you have to go to e service and add your cca points at the e service for all the past performances. those who have already added please check that your submission is endorsed. For the activities that you have to add, please refer to the " How to add cca point" post. 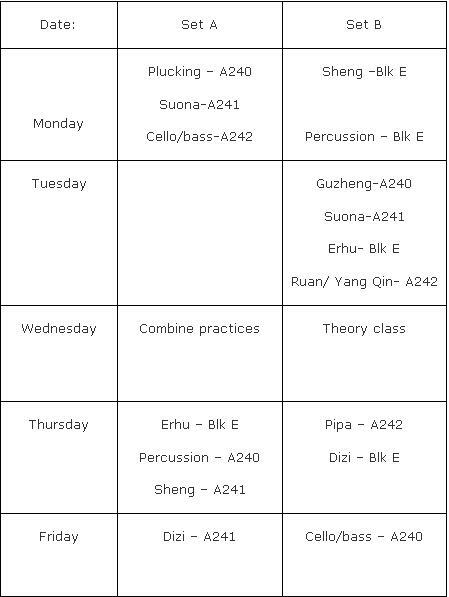 All new members please note that this week will be the last week for all instruments workshop. Please note that you have to submit your forms with your grades by next monday with your first 3 choice of instruments indicated . Service is the option for the service that you rendered to a CCA THAT WE HAD NOT JOINED. Eg, Club Crawl, Open House. Enrichment is the option for the service that you rendered to A CCA THAT WE HAD JOINED. Eg. StarStruck Concert. Yahoo! Movies - Search movie info and celeb profiles and photos.